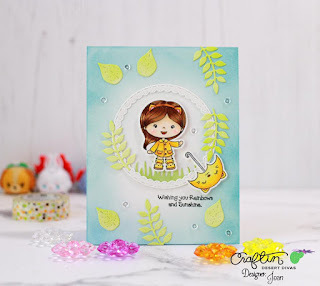 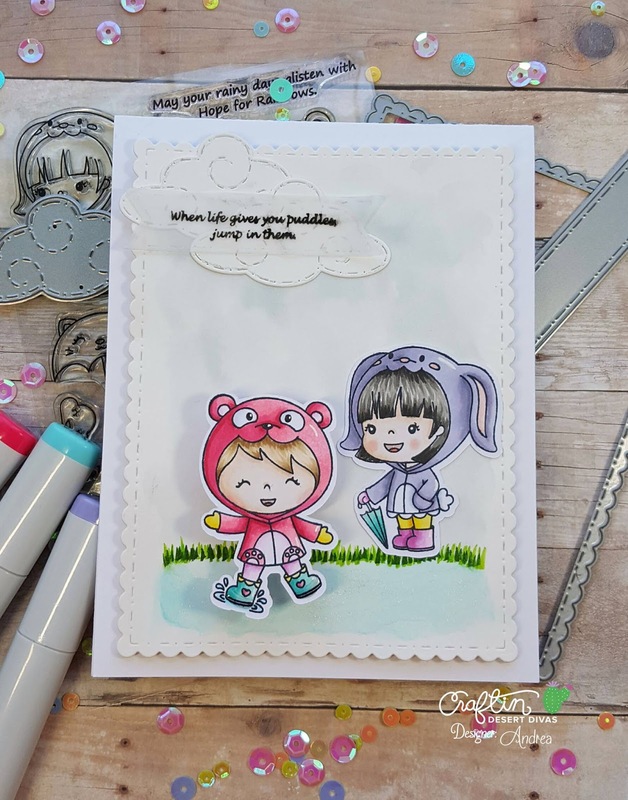 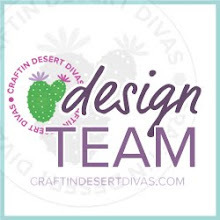 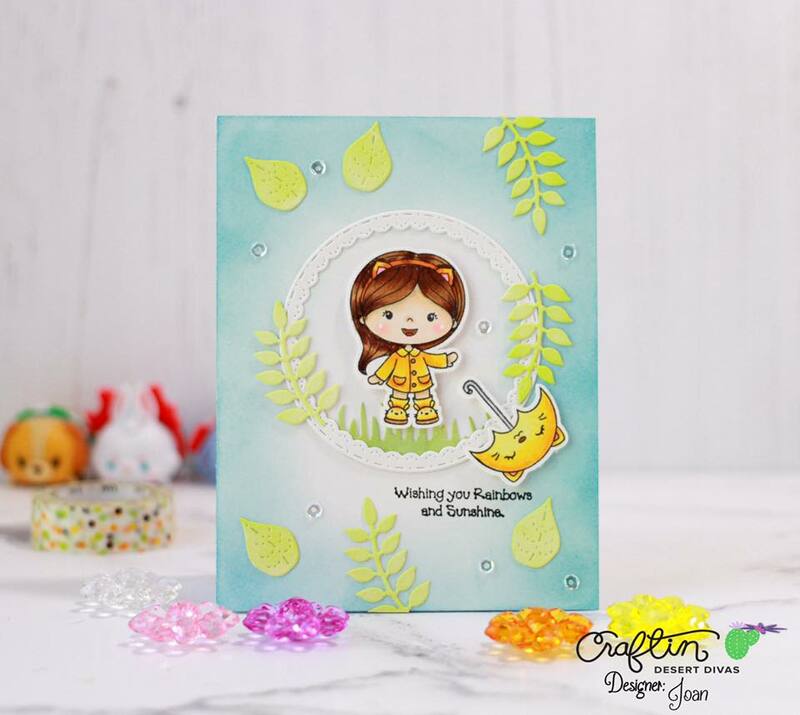 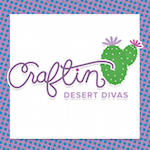 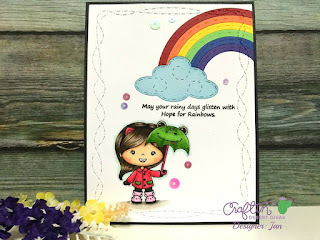 Hi, it's Juhi here sharing with you today one of the new stamp sets for Craftin Desert Divas April stamp and die release. 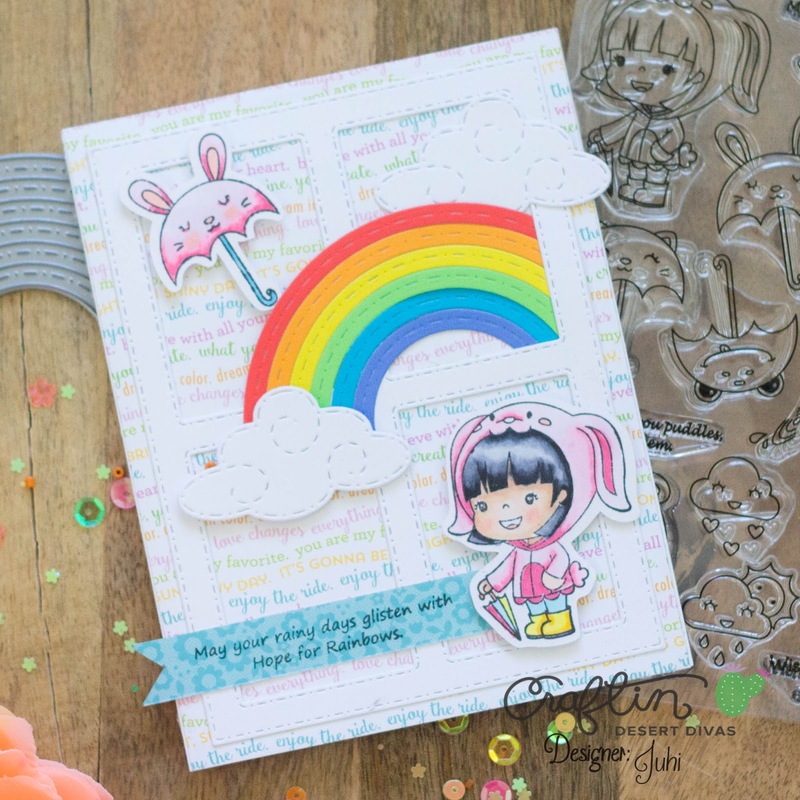 Today I have the privilege of sharing with you the new Rainbows and Sunshine stamp set. 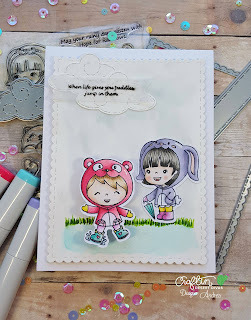 I love all the images from this super cute set, they remind me of my 5 year old daughter! 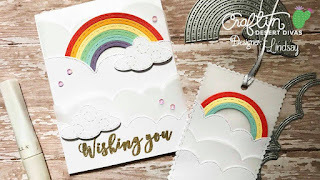 The images were a delight to color and what's more there is also a rainbow die in this release! 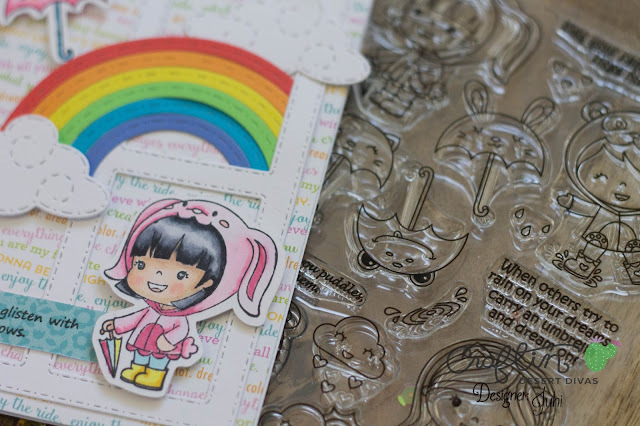 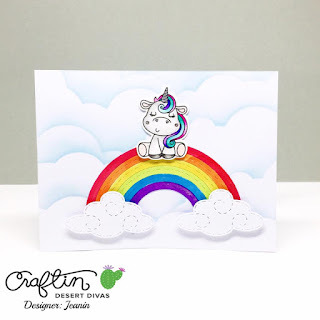 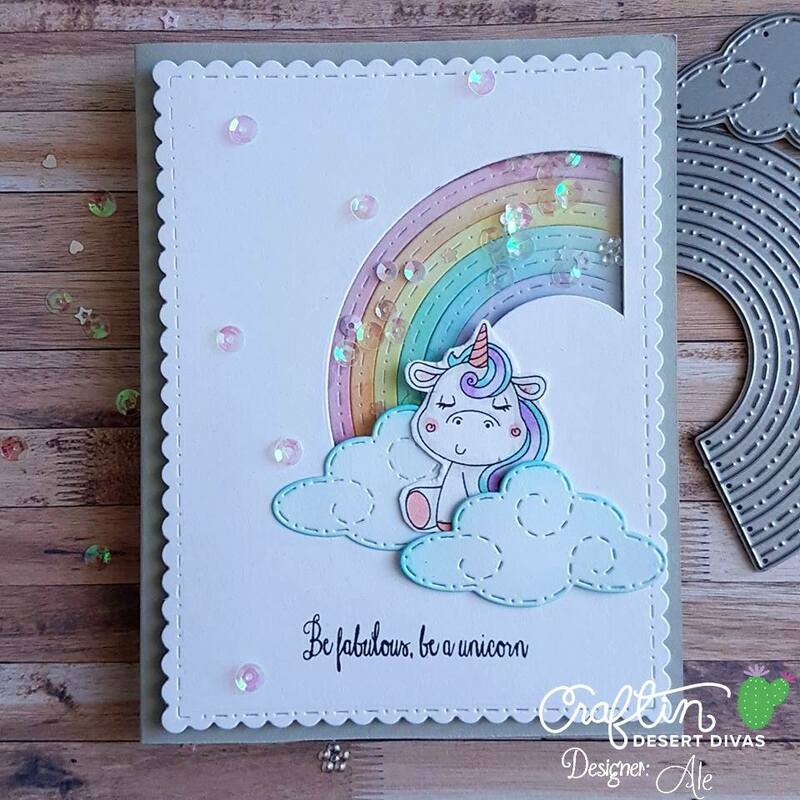 The stamp set along and the Rainbow die are the perfect combination! 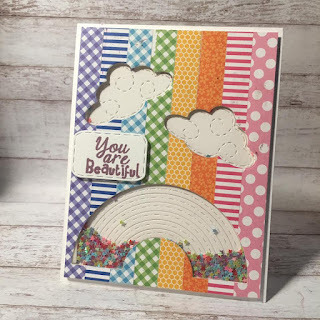 I can think of endless ways to use them! 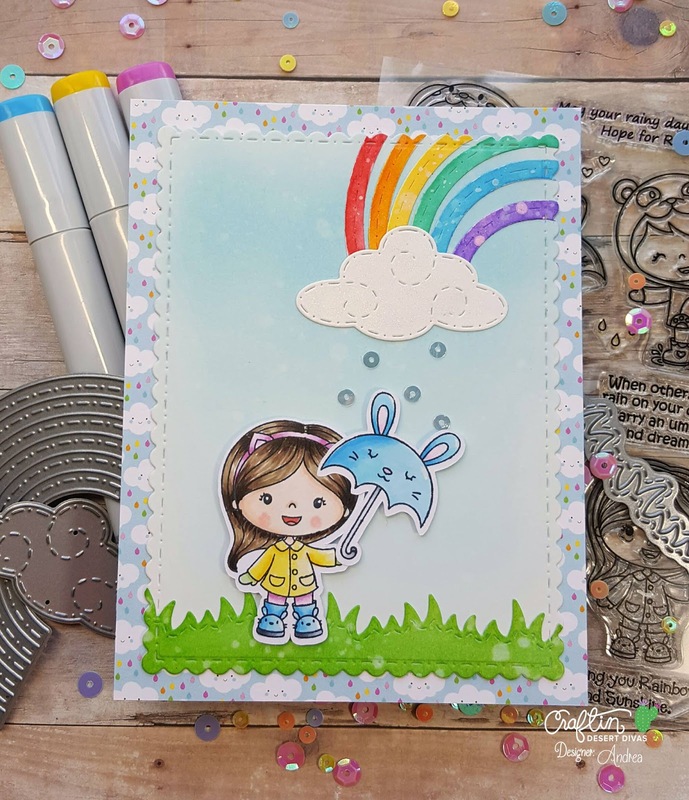 I colored the cute little girl and the umbrella with copic markers and cut out the rainbow with colored cardstock. 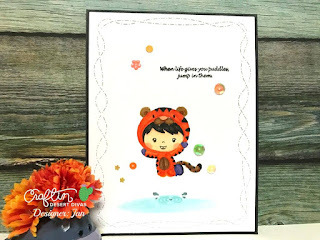 To put together the card, I used patterned paper to cover the entire cardstock base and added the window pane die-cut on top. 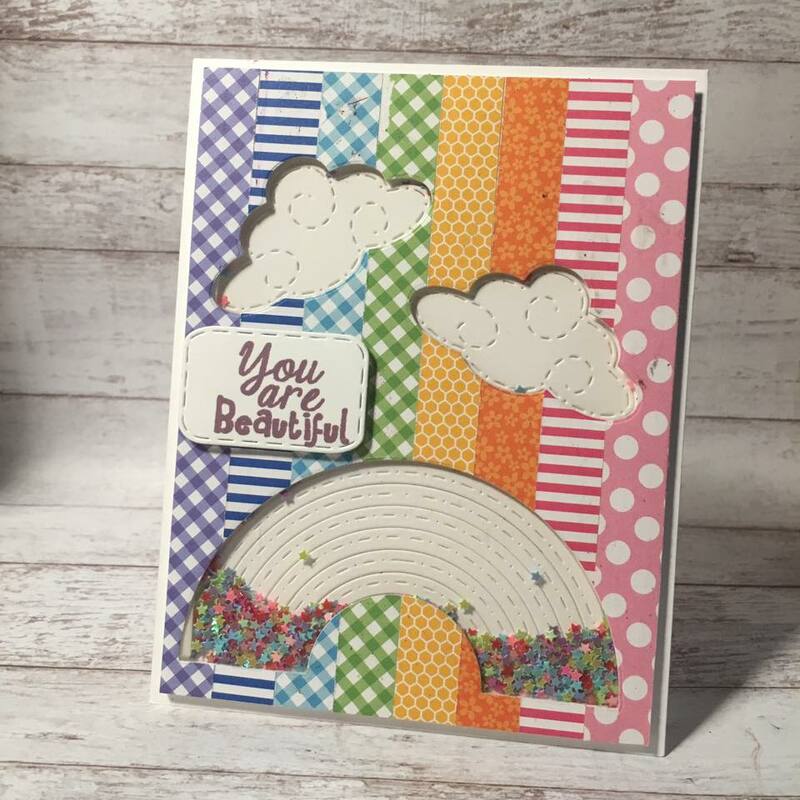 I finally added the rainbow, clouds and the stamps images along with the sentiment to finish the card.